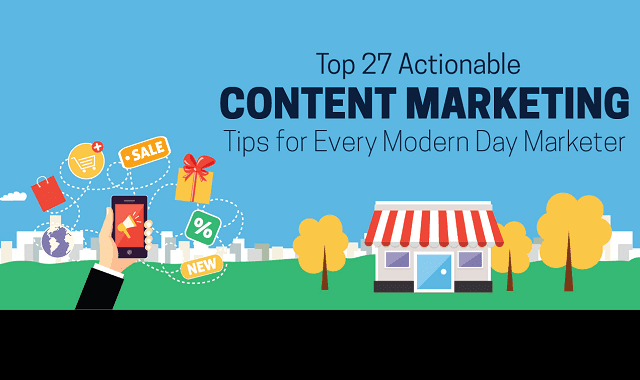 Top 27 Actionable Content Marketing Tips for Every Modern Day Marketer #Infographic ~ Visualistan '+g+"
Did you know Content Marketing costs 62% less than traditional marketing and generates 3X more leads? Most of the brands are increasingly integrating Content Marketing with their marketing strategies and those who aren’t will probably suffer loss. Content Marketing is creating and sharing valuable content for free which attract and convert prospects into customers. Seeing the versatility and diversified role of content over the last few years, it is important to note that content is still the king. With Content Marketing you can communicate your message to your target audience in an efficient way. However, you cannot just publish a blog, promote it on social media and expect it to work out.